How to create a 500px Image Slider for WordPress? August 30, 2017 September 11, 2017 Nishtha DosajGeneral, SlideDeck 3, TutorialsLeave a Comment on How to create a 500px Image Slider for WordPress? One of the excellent place to upload and share your best photos and get the exposure for the same is 500px. If you want to add the 500px content to your WordPress site, you can easily integrate and showcase 500px image gallery using a WordPress slider. One of the best slider for this purpose is the SlideDeck Plugin. 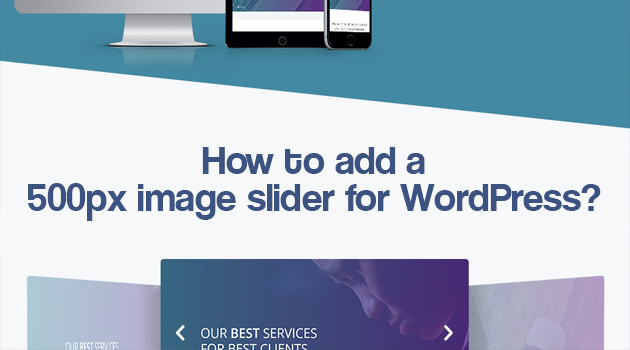 In this article, we will show you how to create a 500px image slider for WordPress in just six steps. You will first need to install and activate the SlideDeck Plugin. Before you create your first 500px Image Gallery slider, you need to have an account on 500px and must have the image gallery setup in it. 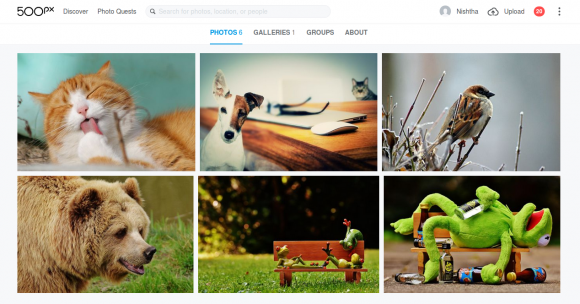 Now it’s time to create your first 500px Gallery slider. Now it’s time to create your first 500px Gallery slider. Give a name to your slider. 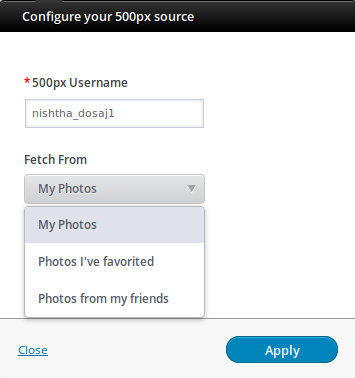 Add Username of your 500px Account. Select the Gallery name and category which you want to show into your slider. You’re now almost done. 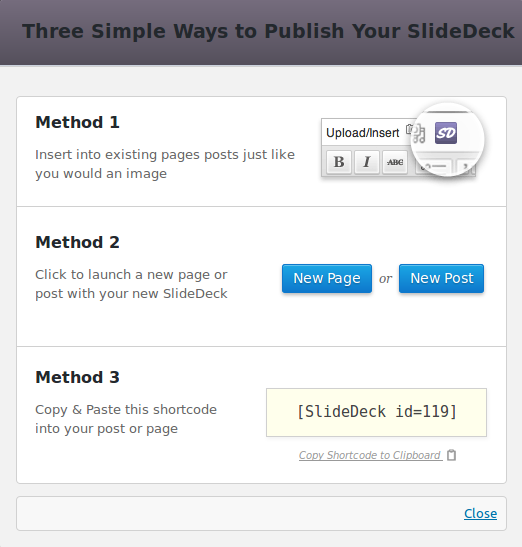 Publish your slider to a post or page. Select any of three available ways to publish the slider on your site. 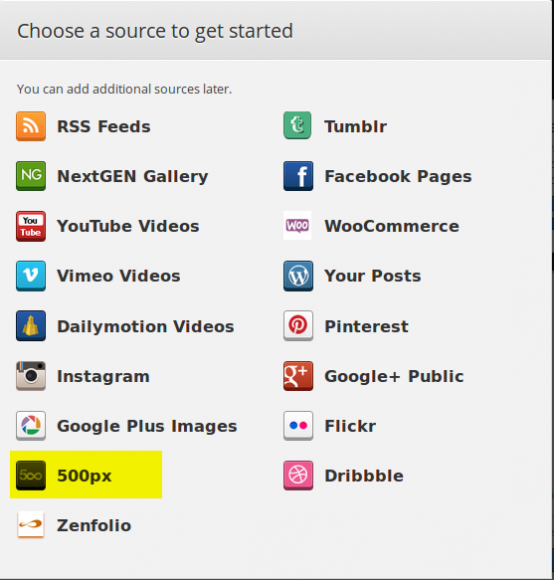 Hope this article helped you setting up a slider with 500px images for your WordPress site. If you have any questions or feedback, please let me know in the comments. 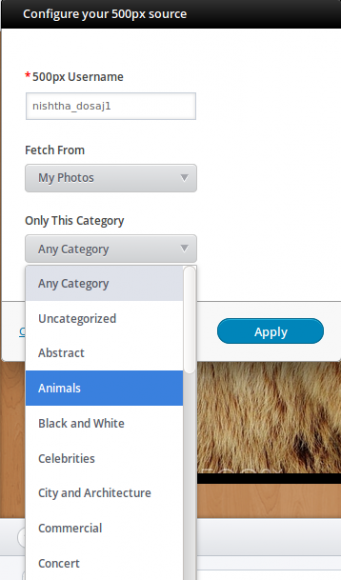 Also, check out our blog post on how to create a mixed content slider in WordPress. Note : This article has been modified keeping in mind the updated version of the SlideDeck. ← How to create a WooCommerce Product Slider?